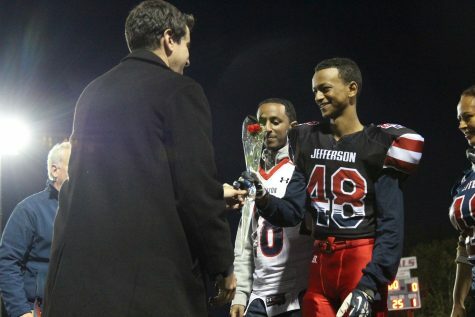 Facing a steady drop in numbers, Jefferson's football program cuts the JV team, leaving rookie varsity players watching games from the bench. 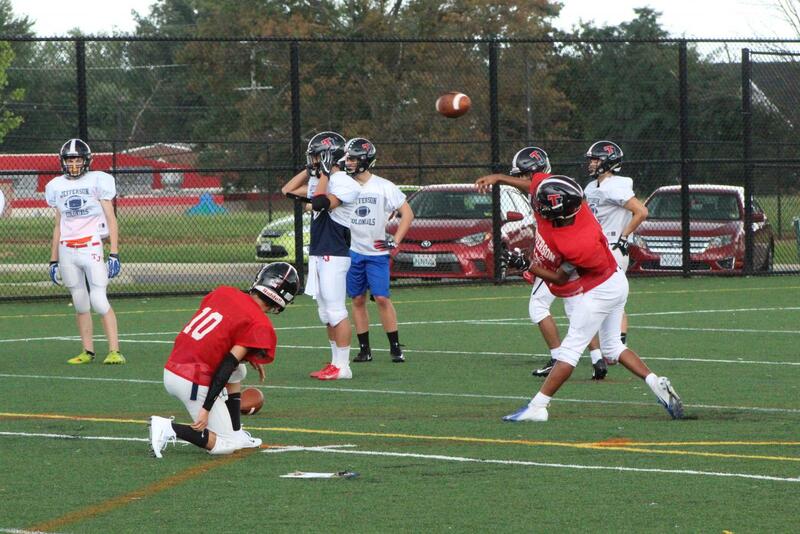 Having lost both games in the 2018-2019 fall season and with only a week left until the varsity football team’s match against Manassas Park, starting quarterback senior Sohail Mohanty throws the ball to his wide receiver in a drill during football practice after school. 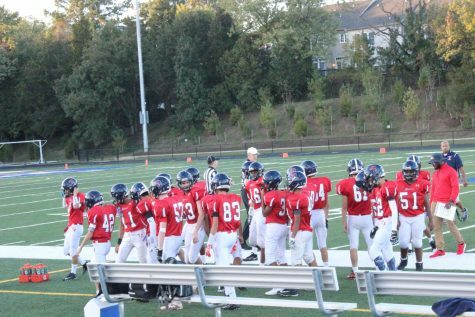 Due to the recurring lack of underclassmen recruits, Jefferson’s football coaches were forced to temporarily cut the JV team from the program for the 2018 fall season. 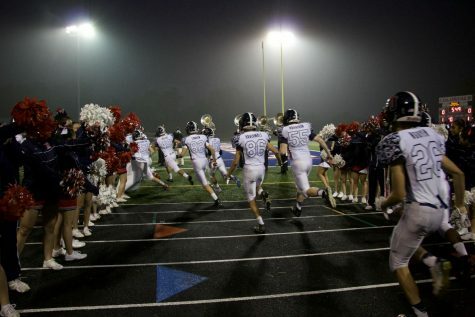 Although unfavorable, this decision was met with only little astonishment from both the coaches and players, as the team’s rosters have decreased dramatically in size over the past few years. 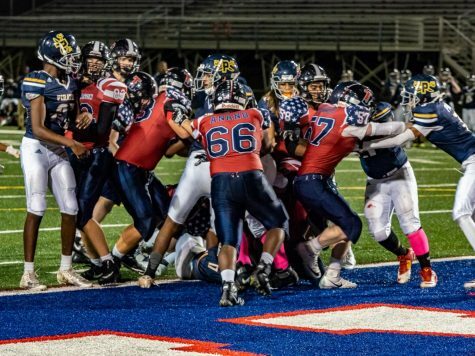 In 2017, the Varsity and JV team had a combined total of 53 players, with 11 of them being freshmen. 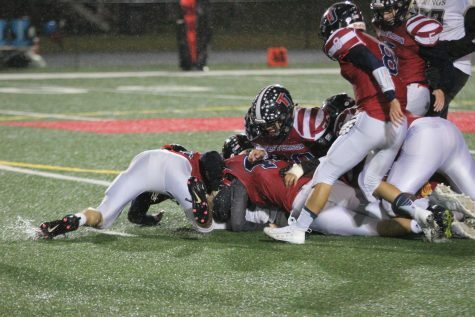 For this season, however, the Varsity team only has 32 players and recruited only six additional freshman from the Class of 2022, marking about a 25% decrease in players from the previous year. Without enough underclassmen for a full JV lineup, the Varsity team now combines seniors, juniors, and sophomores together, which means that novice players spend more time on the sidelines watching the upperclassmen on the field rather than actually playing themselves. In addition, the ongoing lack of freshman being recruited to the program has created a continuous snowball effect. As upperclassmen graduate, and the sparse group of freshmen eventually become juniors and seniors themselves. This means that overall, more players are leaving the team than joining every year, causing the program to shrink continually. 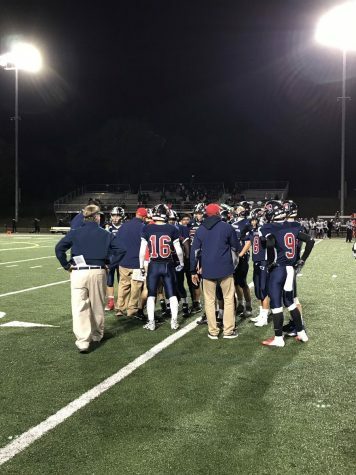 In fact, the current varsity football team is almost 50% seniors who will not be present in the following 2019-2020 fall season. “Now, we may or may not have a football program next year. If we can’t get the numbers, then we can’t run a program [anymore],” cornerback and wide receiver junior Neel Mandapati said. 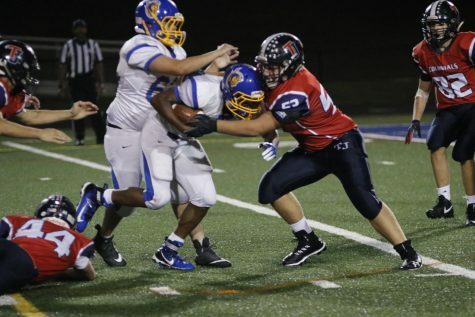 For this reason, both football players and coaches at Jefferson have become increasingly worried and frustrated about the program’s unclear future. 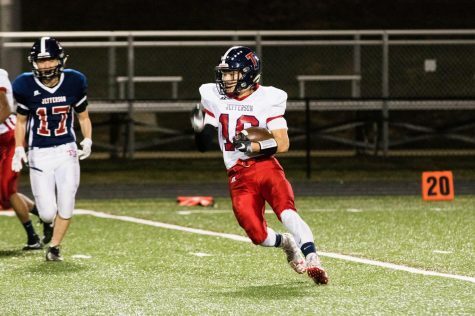 “The fact is that if I could see into the future I would let you know [what the JV team cut and declining population of football players could mean for Jefferson’s football program], but I can’t see into the future,” head football coach Bill Rechin said. In order to prevent this from happening, the football program has been trying to step it up in terms of drawing more players to the team. “We’ve been pushing for recruiting, especially on player basis, and we’re working with a couple of the athletic department heads to see if we can find other ways to recruit players for football. 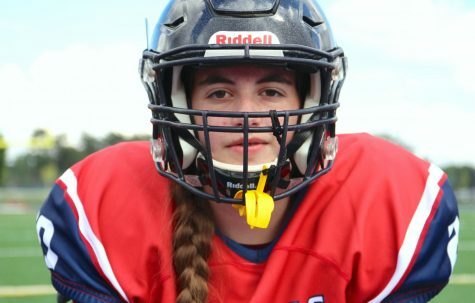 We have two or three kids already that have been recruited, so next year, and I guess possibly this year as well, we might be able to field the JV team for the last couple of games,” Jones said. In the meantime, the football team remains optimistic as the players unite in keeping their program alive.